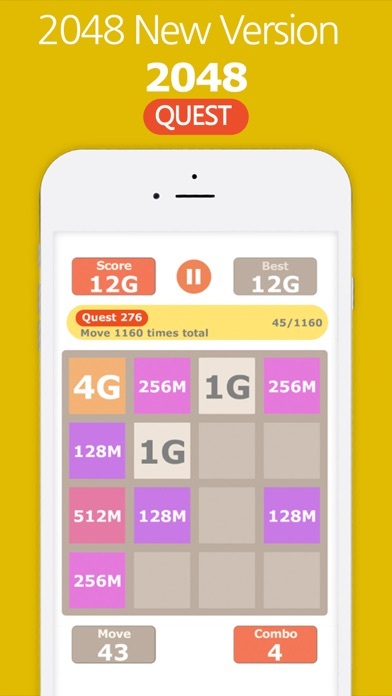 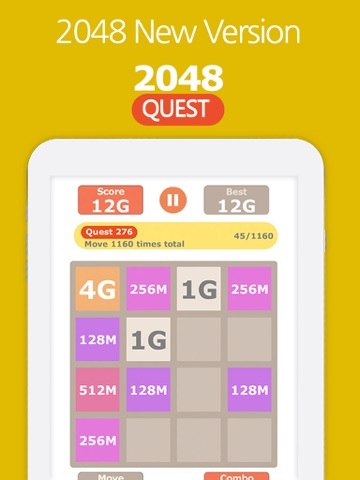 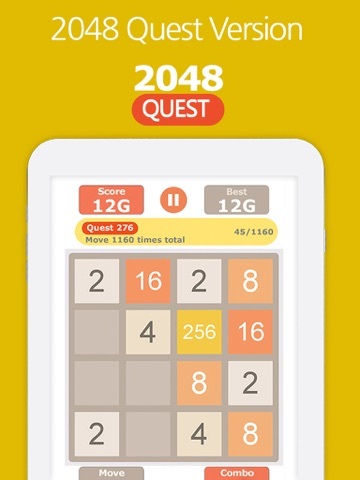 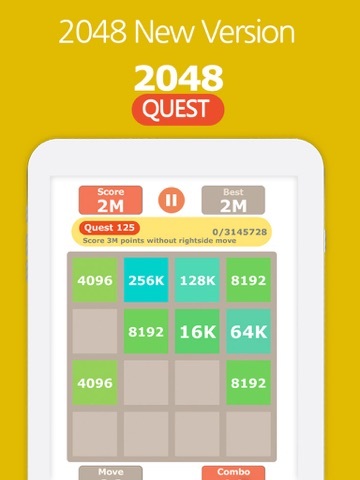 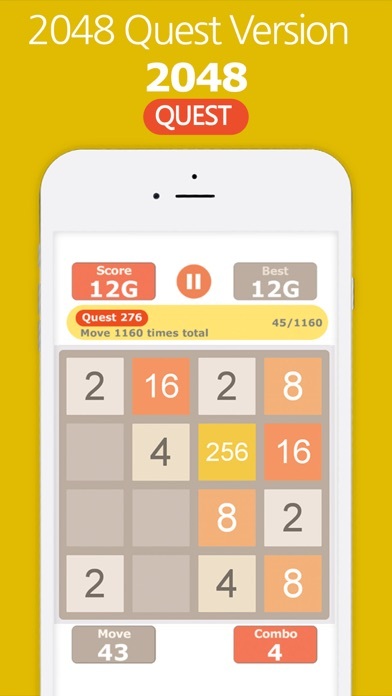 "2048 Quest" is easy game that will keep you hooked for hours! 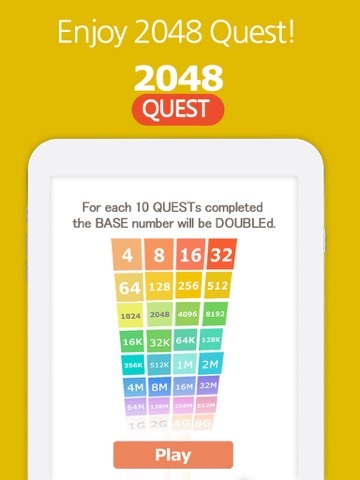 Swap to merge number tiles and get bigger number. 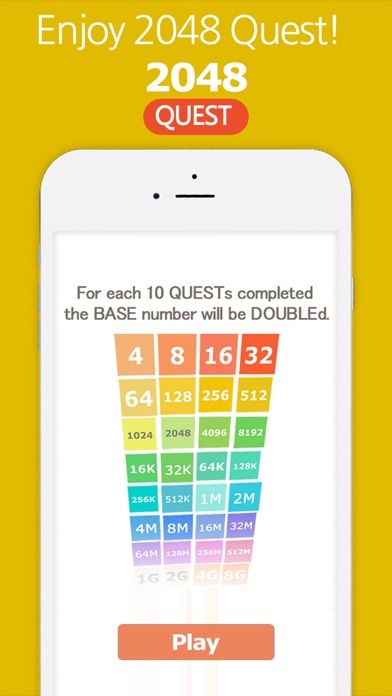 For each 10 QUESTs completed the BASE number will be DOUBLEd. 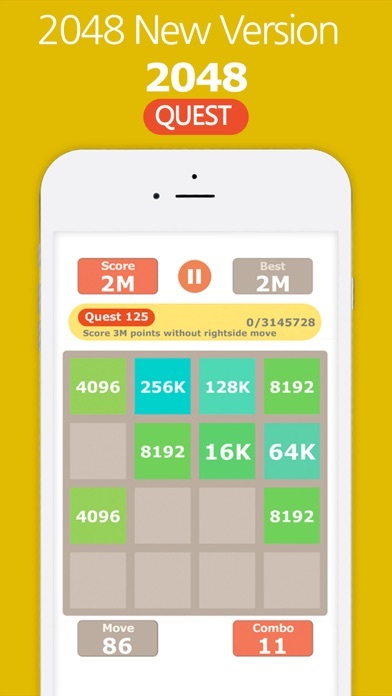 Get astronomical scores like Mega, Giga, Tera and more.